Back in the late 60’s there’s wasn’t that much money going round if you were a teenager, like me. As I was graduating from the 45 pop single to the cooler and rather expensive rock-album, times were tough. You had to plan your investments. As The Beatles still were my priority in 1969, that meant pain. Almost back-to-back with “The White Album” they released the “Yellow Submarine”-soundtrack. There were strange sounding albums from John & Yoko (“Life With The Lions” and “Wedding Album”) and George Harrison (“Electronic Sounds”). A couple of Beatles-singles (“Get Back” and “The Ballad Of John And Yoko”), two 45s (“Give Peace A Chance” and “Cold Turkey”) and one album (“Live Peace In Toronto 1969”) from Plastic Ono Band and The Beatles’ swan song, “Abbey Road” (with another 45 to go, “Something”/”Come Together”). In other words, I was 17, a devoted reader of the weekly New Musical Express, and in trouble. I loved The Beatles, but I also loved all the other sounds that made 1969 such an amazing year for rock music. Like The Who’s “Tommy”, The Moody Blues’ “On The Threshold Of A Dream”, The Nice’s “The Nice”, Pink Floyd’s “Ummagumma”, The Rolliing Stones’ “Let It Bleed”, Bob Dylan’s “Nashville Skyline”, two slices of Led Zeppelin, Cream’s “Goodbye”, Crosby, Stills & Nash’ “Crosby, Stills & Nash”, Procol Harum’s “A Salty Dog”… the list is endless. On top of that were all the unfamiliar names found on the new and experimental labels such as Island, Harvest, Deram and eventually Vertigo. For a 17 year old, 1969 was both heaven and hell. But there was a way around it. The easiest was starting a record club at school, which we did, giving me access to some of those desirable titles. But there was a down-side to it: All of us, except Tormod, had tape recorders. The consequence? We didn’t actually get the record itself, Tormod did. So even if I had the music on magnetic tape, it didn’t feel like owning the actual record. The was no sleeve to study. The record companies were releasing so much product by now that the record stores had become a jungle. It wasn’t enough to advertise in the music papers or hope for radio play. And thus the sampler album was introduced. At budget price they gave the listener a cross section of the record label’s lesser known artists and brand new hopefuls, carefully spiced with a couple of well established names. For a couple of years these samplers were a huge success. No wonder as you got a lot of cool music at a very cheap price. CBS started the ball game in Europe with “The Rock Machine Turns You On”. Island Records quickly followed suit with “You Can All Join In” in early ’69. 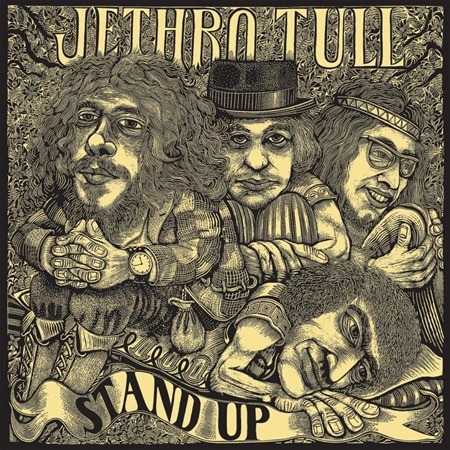 That album turned Jethro Tull and Free into mainstream stars. The sampler albums were like maps and guidebooks for a trip into the unknown. They were affordable, and if you found something you really liked, you’d go to the second-hand shop and invest in a full album by those groups. Island’s second sampler, “Nice Enough To Eat”, released in November 1969, was of great importance to me. Some of the performers are still among my all-time favourites, 45 years on. King Crimson simply blew my mind. 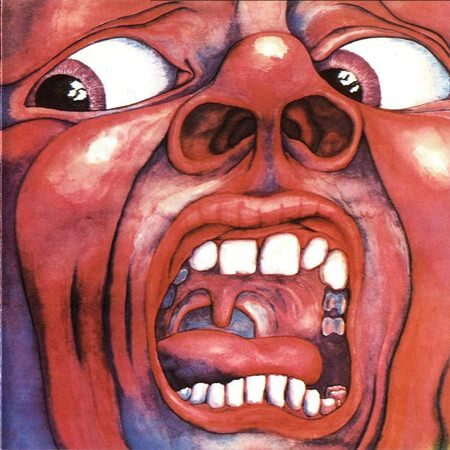 “21st Century Schizoid Man” is the most brutal, distorted and blasting heavy piece of music I have ever heard. Of course I had to buy their album, and to my surprise, they were not a heavy band at all, but rather masters of epic beauty. It was love at first spin. The riff heavy, stop-start blaster “Better By You, Better Than me”, sent me straight to the second-hand shop for Spooky Toth’s “Spooky Two”, and that album turned out to be a real classic. “Evil woman” still rules. Mike Harrison’s voice and Luther Grosvenor a.k.a. Ariel Bender’s guitar. Astonishing! 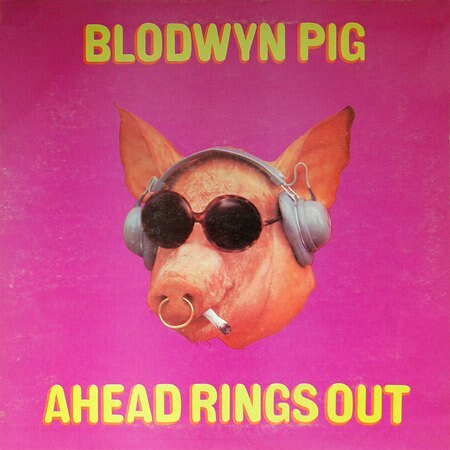 The Jethro Tull spin-off band Blodwyn Pig was another winner, and who could resist that pink sleeve with the pig’s head wearing ear phones and shades on and smoking a spliff? Jethro Tull I already knew, as the record club at school had bought the wonderful “Stand Up”-album back in August, the pop-up sleeve now resting on Tormod’s record shelf. The whimsical hippie-eccentricity of Dr. Strangely Strange took me by surprise, were they for real? They sounded high as kites, all wearing smiles on their faces, not knowing where the song was going, but stumbling onwards with their acoustic guitars, their flute and their mild mannered slightly out of tune harmony singing. A stunning piece of folk weirdness. No wonder they became cult heroes on eBay. The slow burner “Woman” introduced me to Free, a promising new band riding on the second wave of the British electric blues. The voice of Paul Rodgers, the restrained, but fiery guitar playing of Paul Kossof. A full six months or so before they hit the world with “All Right Now”. And Mott The Hoople, wow! Their version of Doug Sahm’s “At The Crossroad” is a delight. A whirlpool of sound blasting through the speakers, almost, but not quite drowning Ian Hunter’s Dylan-like moan. Epic stuff. It came off their debut-album, the one with the Escher-sleeve. Then there’s the mysterious Newcastle-band Heavy Jelly who were actually the not so successful Skip Bifferty in disguise. Their eight minute ramble “I Keep Singing That Same Old Song” is on the brink of disintegrating the whole way through, but I adored their losing struggle with that beast of a track. The centrepiece on “Nice Enough To Eat” was none of these, however, but “Time Has Told Me”, a melancholy, quiet little acoustic song performed by a young man with a soft and longing voice. 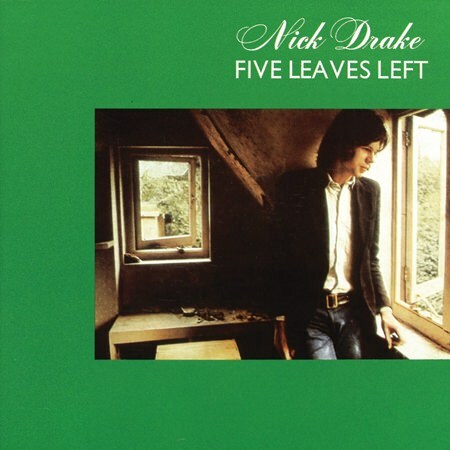 This is how I met Nick Drake. I had never heard such beauty and sadness before, it spoke directly to my young and vulnerable soul. And my, was I happy when I found “Five Leaves Left”, from which “Time Has Told Me” was lifted, in the second-hand shop! Thus started a lifelong relationship with the music of this remarkable singing poet who only got to release three albums before he left us in November 1974. Five years left, that’s what he had, but his songs are just as touching and relevant today as they were then. 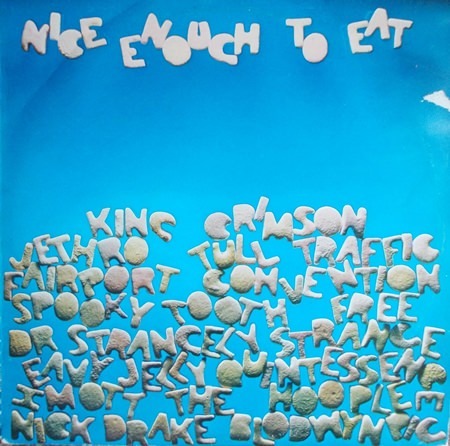 “Nice Enough To Eat” contains samples from 11 albums and one single (Heavy Jelly). I ended up buying all the albums and would’ve bought the single too, if I had found it. So the cheap entrance to the Island label turned out to be quite an expensive one, but I wouldn’t have it any other way. I am forever grateful to the record company for their sneaky trap. It made me aware of a fascinating alternative to the hit parade and the lasting magic of the long player. There was something more out there. There was life after The Beatles. These eight albums you should buy right away: Unhalfbricking, Fairport Convention; Spooky Two, Spooky Tooth; Stand Up, Jethro Tull; Free, Free; Traffic, Traffic; Five Leaves Left, Nick Drake; In The Court Of The Crimson King, King Crimson; Kip Of The Serenes, Dr. Strangely Strange.